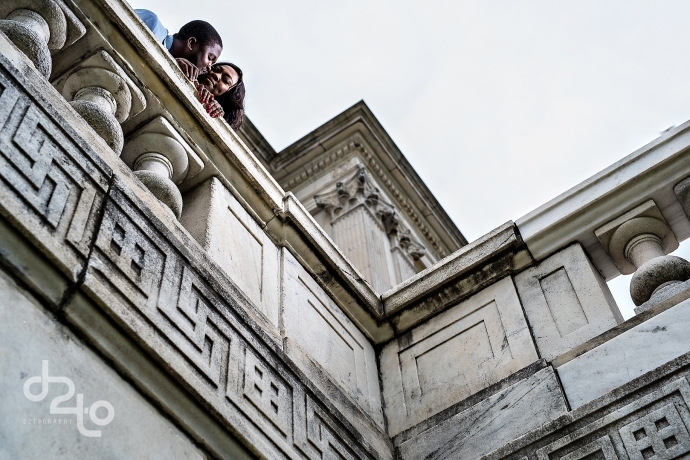 I love capturing love stories and I am always curious to know how couples met. I have known Tosin and Deolu for a while and I was excited to document their love story. Read their love story below and view their engagement photos. I bless the day I went to my friend’s house and she was on Skype with the man who turned out to be the love of my life. We all had a friendly conversation and it ended there. Or so I thought. I had initially assumed that they were in a relationship but got to know they have been friends for a long time. After a couple of months of communicating back and forth, I could not believe this “goofy man”( as I would call him) was coming all the way from London to Boston to see me. Five years later, I have the pleasure of calling him my Fiancée. I am very blessed to have someone as Adeolu to spend the rest of my life with. I was doing my homework on a random day in the summer of 2011, I got a little tired and was in need of a study break or some form of distraction. I decided to log to skype to have a conversation with one of my very good friends. We were talking and laughing at each other and I noticed she had company. I asked to see who her friend was and we all got talking and I got exactly what I needed that afternoon, A friendly funny conversation that took away the stress of school work. As a sharp guy, I called my friend the next day to see if her friend was visiting again and that was when my friend knew I had other plans. I knew all my tricks would not work so I asked for Tosin’s phone number or blackberry Pin. Trust Girls to continue to keep a brother wishing and wondering. My friend told me She had to get her permission before giving out her contact information. She did come back with very good news and gave me her blackberry pin and we started talking back and forth for a few months. I knew I had to visit at some point to see her in person and so I booked a flight to Boston from London to visit Tosin. She was at the airport to pick me up and I was excited to finally see the girl I have been talking to over the phone. Okay I was more excited this was not some form of “catfish’. She looked even more beautiful in person. We had a great time talking and getting to know each other even after my return back to London. In this time, we got the chance to know and understand each other and I knew without a doubt I wanted to spend the rest of my life with Tosin. Five years later, I Proposed to the girl who has my heart and watching her smile and say “YES” was such a delight. How did I get so lucky?